I was deathly allergic to cats growing up and my mother hated them so I never had one. Occasionally, I would sneak a stray into the house but my tell-tale runny nose and swollen almost-shut eyes were a quick give-away to my parents. Oddly, it was when my top-barrel horse, Brandy, colicked and died when I was in college, that I got my first cat. A friend gave me a little black female. I did not want a cat, I wanted my horse back. Reluctantly, I accepted her gift but told her I wasn’t even going to name it-it could just be “Kitty Cat”. She told me, “you can’t call her that!” I compromised with “fine, I will call her Tiddy Tat” and I did. She was affectionately known as “Tid” and I grew to love her dearly. My allergies had backed off so that was okay. I treated her like a dog, taking her in the car, back and forth from school in Fort Collins to my parent’s home in Denver. She went on airplanes with me and moved from apartment to apartment as I started my career. Additional cats came and went. I occasionally spent a lot of money on cats, dabbling in breeding Persians, owning purebred Burmese and Balinese Cats. I brought two cats from Florida to Texas but my newly rescued Doberman Abby killed them the first day home. That was enough for me. During the reign of Dobermans, Abby and Wally, we did not have cats. When we moved to Wharton, a mama kitty showed up in our tack room and soon kittens followed. They were wild cats. It took a couple of years and a few generations of kittens to be able to handle them. I tried to round up each subsequent batch of kittens, get them inside, tame them and neuter them. Many ran off, got hit on the road or died of natural causes. In the past year or so, I have neutered maybe 12-15 cats which proved to be expensive and worthless. Of those cats, two are left. All the others killed or murdered at my farm or on my road. There are now maybe eight adult cats that are not neutered, two females and the rest males. The two females are feral-wild and near impossible to catch. I should try harder but this routine of spending money, caring about them and having them die is taking its toll on me. Chloe was a two-year old neutered female. She was my favorite cat. You have probably seen pictures of her in my grandchildren’s arms, riding along in the saddle with me or the kids. She would jump from the fence posts into the saddle with you as if it were just as natural as the world for a cat to ride a horse. She walked every night with the dogs and I to the back pasture. I noticed she was gone Thursday, the first day we were gone to the show. I hoped she would show up again. Then we noticed all the cat food we left out on the front porch was disappearing. Dead kittens were littering the lawn in mornings having been savaged the night before. Lauren and I spotted large canine tracks in the arena that were roughly twice the size of our Doberman’s (she is a small dobie). I was headed out last night to pick up yet another dead kitten from the pasture when the fence man stopped me. He told me he had buried a dead female on Friday. It had to have been Chloe. I don’t know what to do. I try to be the responsible owner and capture as many as I can and get them neutered. My vet in Wharton has worked with me and given me discounts. A spay-neuter place in Houston has been more affordable and I have tried to use them when I can. Dr. Criner has offered to come do spays and neuters on my dining room table if I will help but I haven’t quite got up the desire to be that involved. My problem is, the ones I tame, then take care of, inevitably are the ones that are killed. If it is not this current pack of dogs, it is coyotes, the highway or the cats fighting one another. 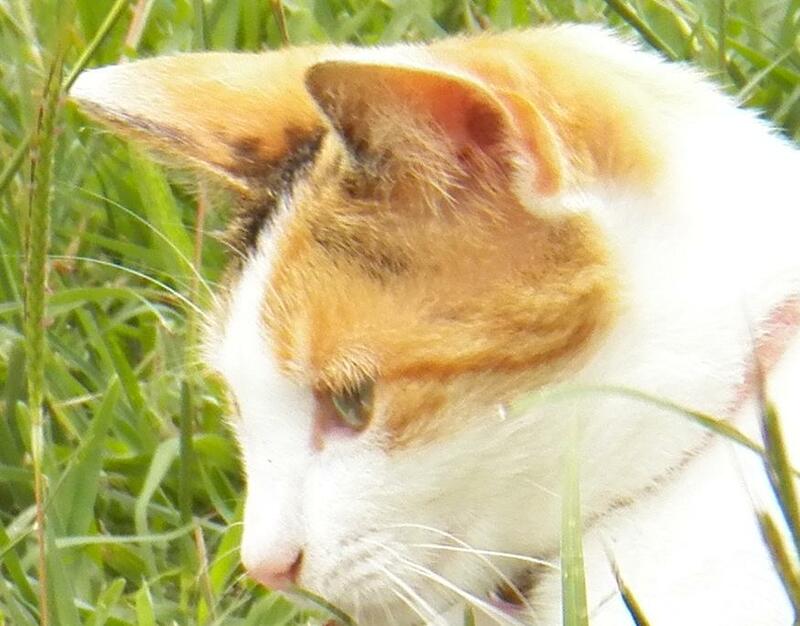 I am emotionally flattened by the loss of my Chloe cat coupled with the sight of kitten corpses across my pasture. I know I can’t save them all. I cannot have them all inside either. I am just sad and without a plan as to how to proceed. I will not have another cat like Chloe, maybe ever. I love them and I cannot protect them. I am at a loss. Postscript- Just now coming into the house after feeding the horses, I found another young cat murdered by the fence. I am so tired. 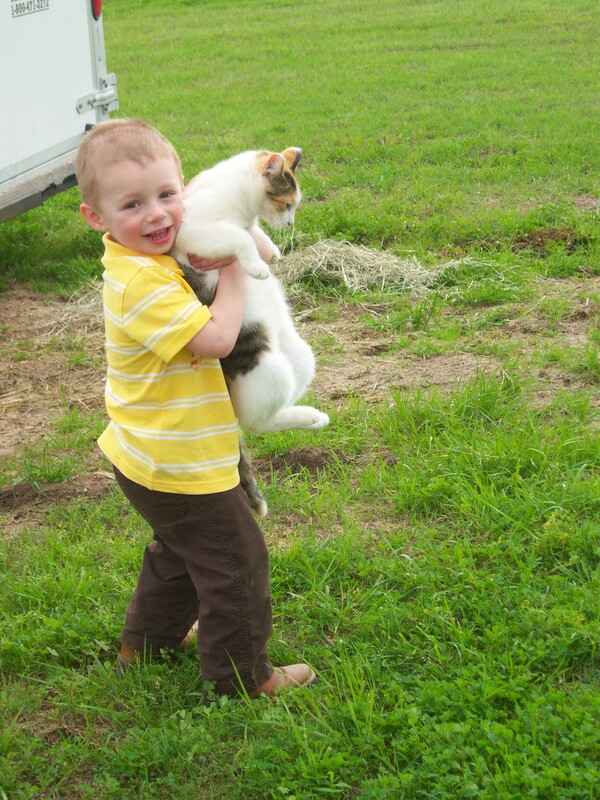 This entry was posted in Life on the farm and tagged cats, ferile cats, kittens, spay neuter by Exechorseluver. Bookmark the permalink. Wow, depressing. I love cats, and this is just so sad, and draining. Maybe set up a bunch of hav a heart traps. Catch them all, and take them in to be euthanized. Better then the toll of seeing them dead. Then get one house cat. Cindy. I am soooo sorry!